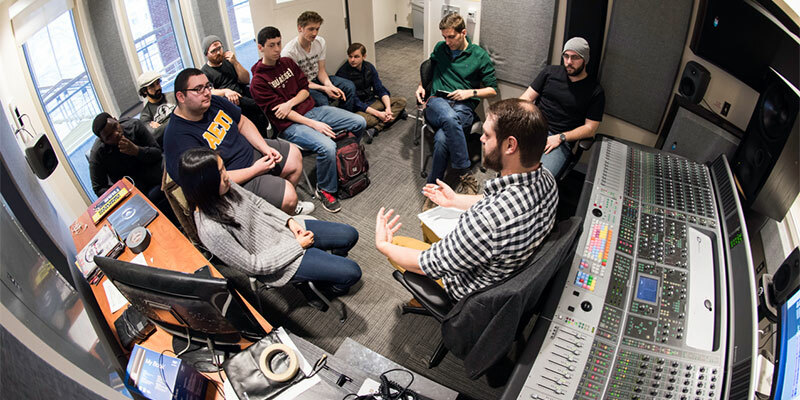 The Rettner Hall Audio Studio is located in rooms 303 and 304 and consists of a 25′x18′ studio with approximately 8′x8′ isolation booth and an 18′x10′ control room featuring a 32-track Digidesign D-Control board, Avid XMON, SYNC HD, HD I/O, and PRE units, Quested and Genelec monitors, a Mac Pro running Pro Tools, and numerous other effects and processors. 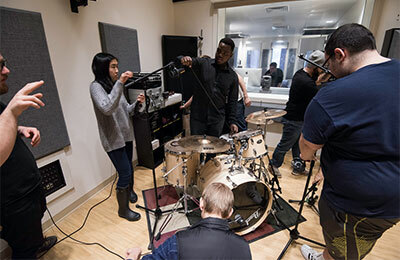 Use of the studio is currently restricted to AME students. For details, please see the audio studio rules and guidelines (PDF). To reserve the audio studio please use the Booking Form (Google docs form). See the calendar (ical or html) for availability.